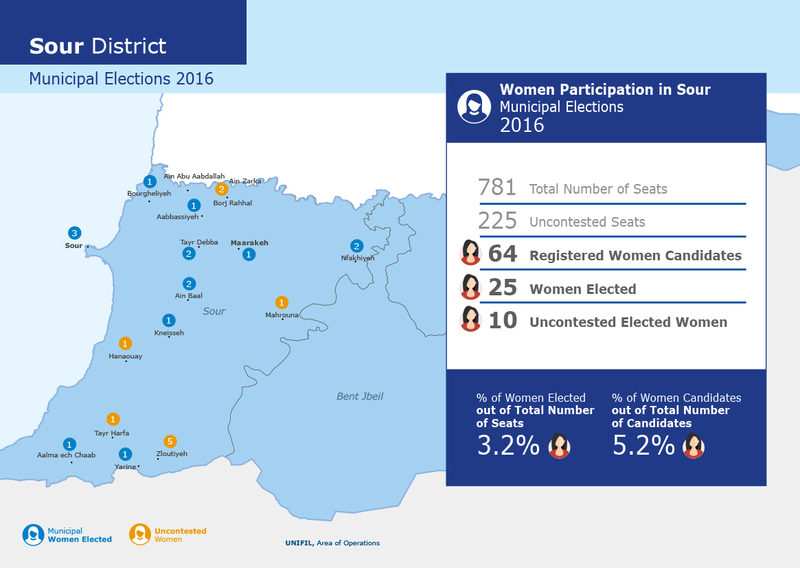 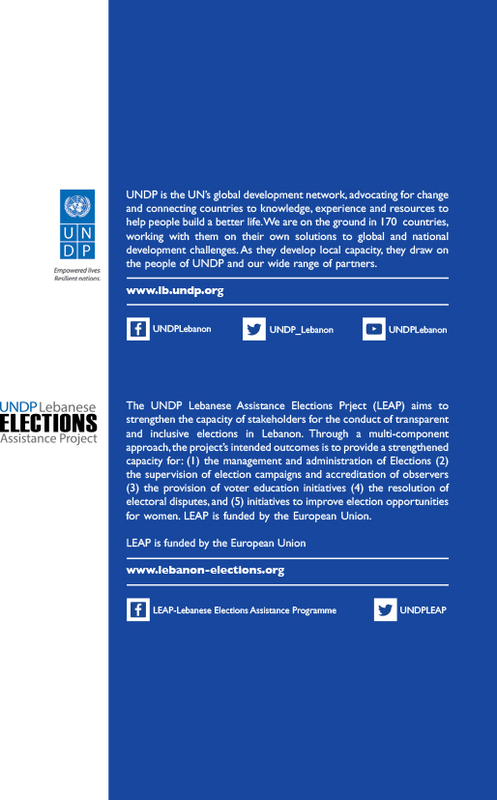 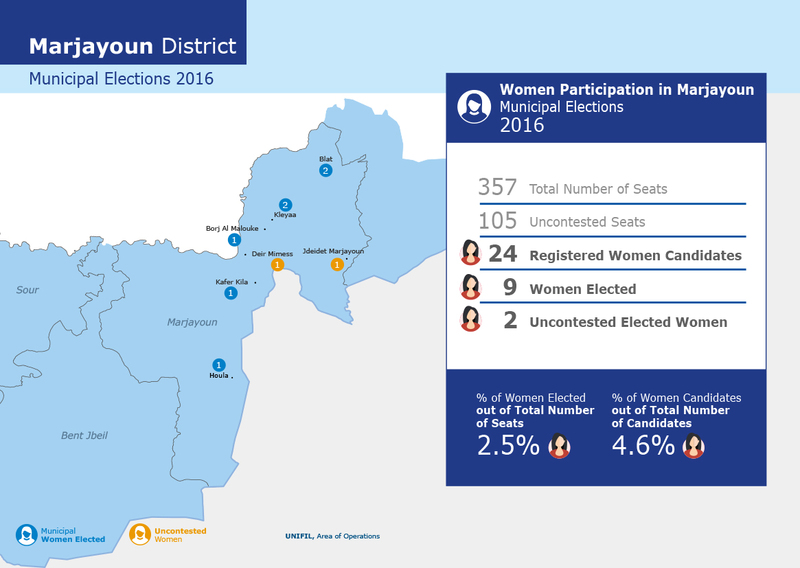 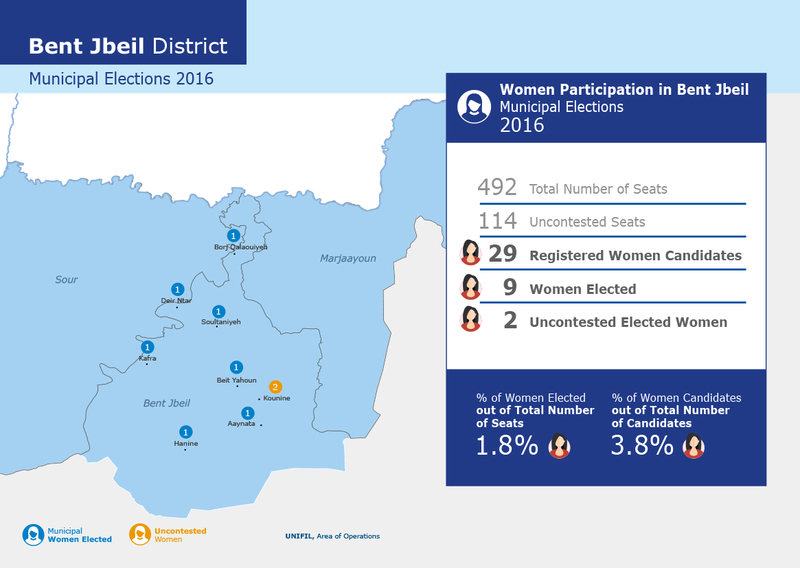 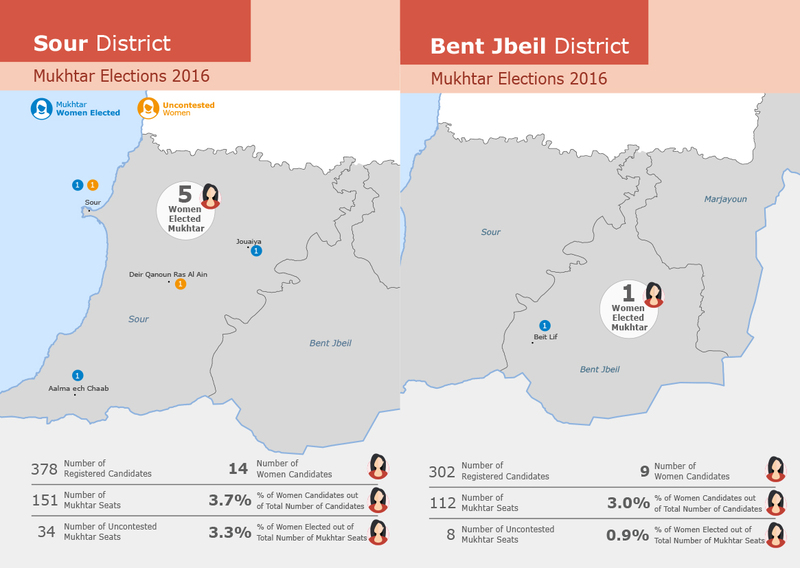 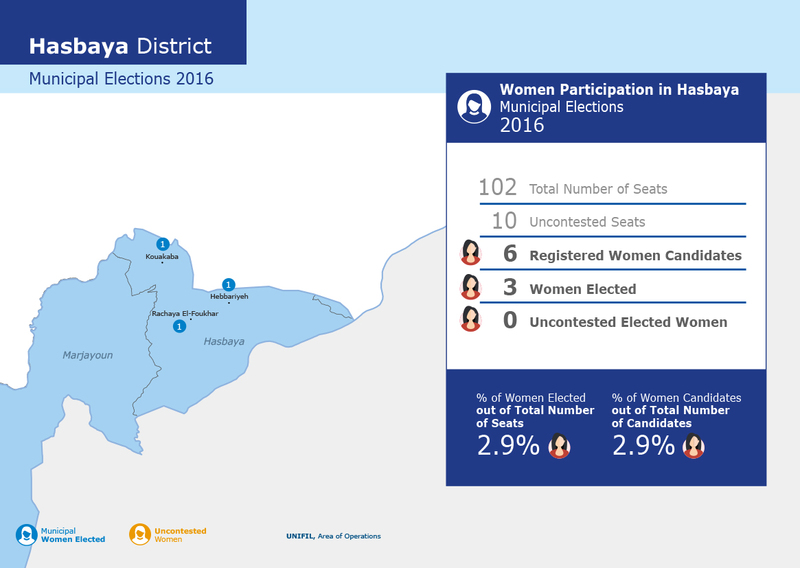 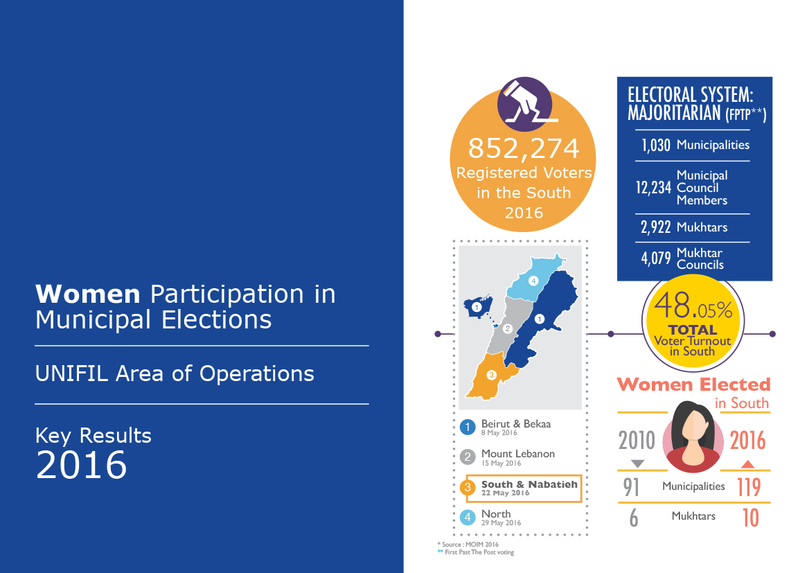 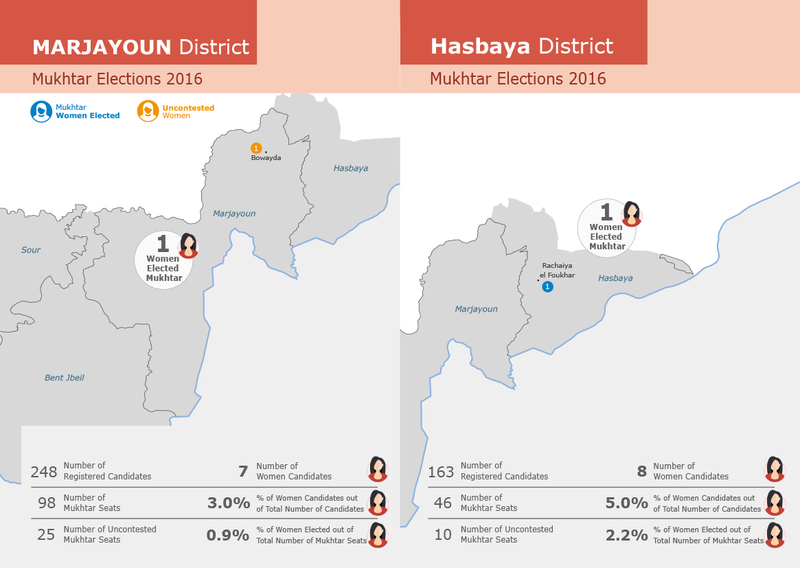 Here are some key Municipal Election Results in the Areas where UNIFIL operate ( Sour, Bint Jbeil, Hasbaya, Marjayoun ) emphasizing on Women candidates and winners. 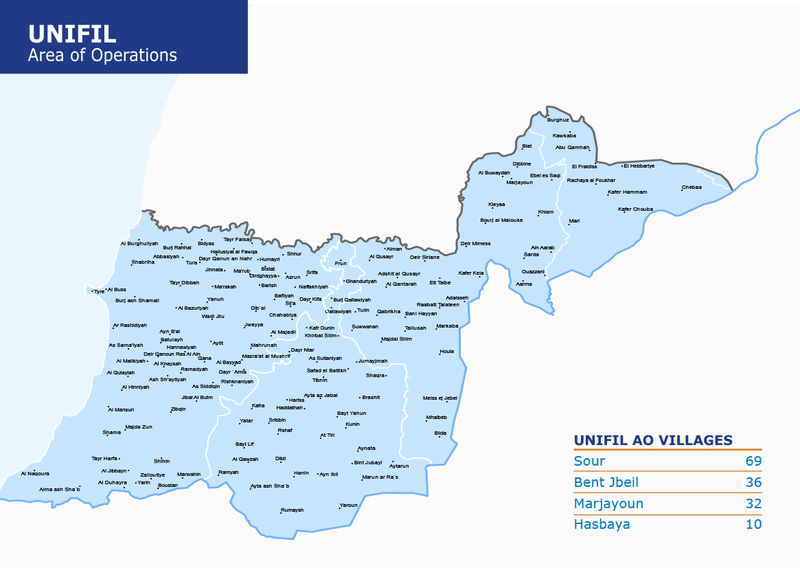 The United Nations Interim Force in Lebanon or UNIFIL and also known as the UN, was originally created by the United Nations to confirm Israeli withdrawal from Lebanon and help the Government of Lebanon restore its effective authority in the area. 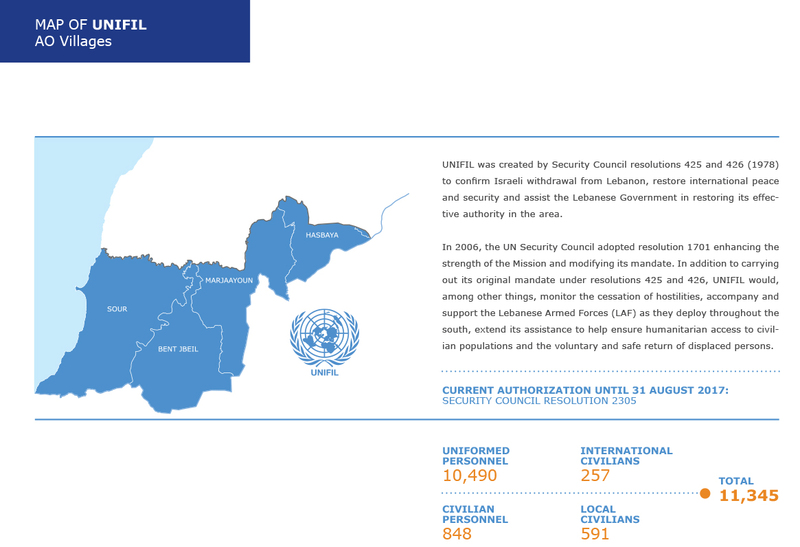 The mandate had to be adjusted twice, due to the Israeli invasion of Lebanon in 1982 and after the Israeli withdrawal from Lebanon in 2000.